Our Mission: To help you pursue financial independence, a successful retirement and a lasting legacy. Assessing Your Needs and Finances We begin by asking you to complete a confidential personal profile that helps us gain a deep understanding of your current financial situation and goals. 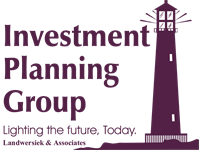 Preparing Your Plan We provide a detailed analysis of your finances, develop a variety of customized strategies, then offer suitable recommendations to address your future needs. Implementing and Monitoring Your Strategy Once you select the most suitable approach, we put your personalized plan into action. We then maintain consistent communication with you, carefully monitoring your portfolio and making adjustments, when necessary.